Summer is almost over and I'm almost out of time to share this ice cream cake recipe, but today was in the 90s, so it's most definitely still feeling like summer for a little bit longer around here. 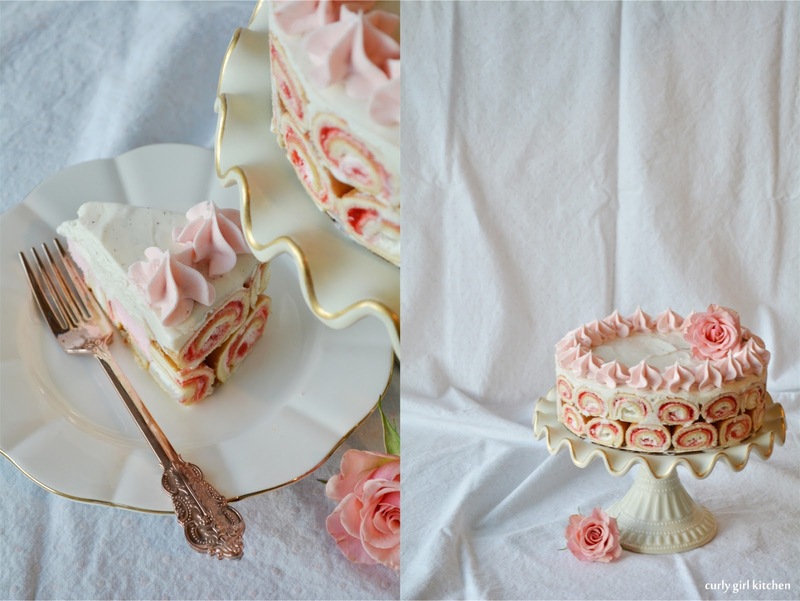 Every summer, I make an ice cream cake, usually somewhere around my birthday in July when it's too hot to turn on the oven and I just want something cold, creamy and sweet. 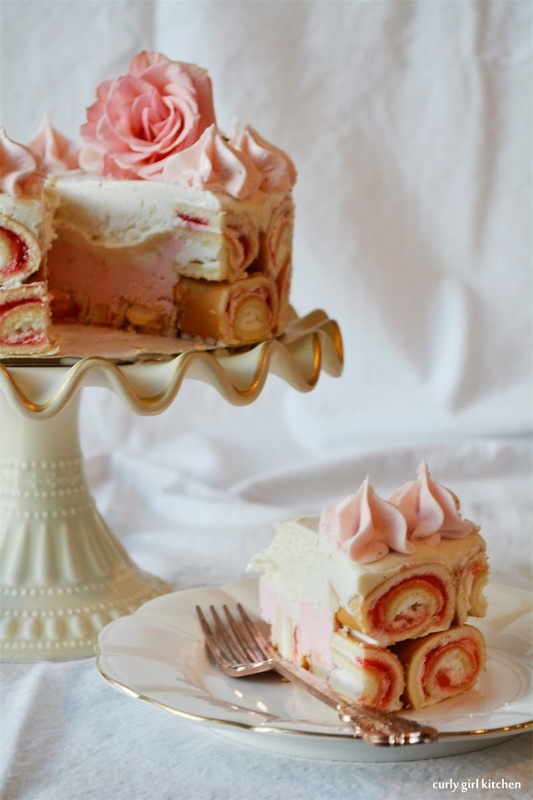 Being that this one uses store-bought ice cream and packaged strawberry cake rolls, it's incredibly easy to put together, and, like any ice cream cake, very customizable to your own taste. 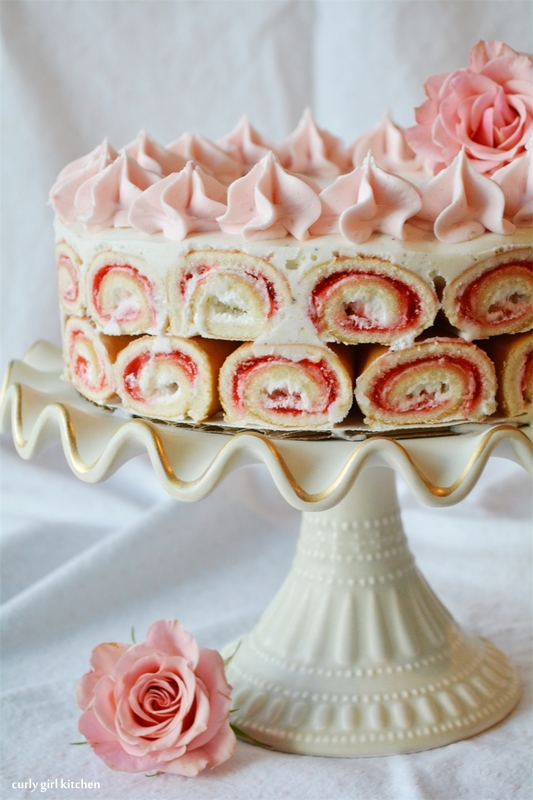 Strawberry cake rolls were a favorite sweet treat of mine when I was a kid, so I used them for nostalgic reasons, and while I don't particularly love eating them now, pregnancy cravings this summer made them pretty appealing to me once again. 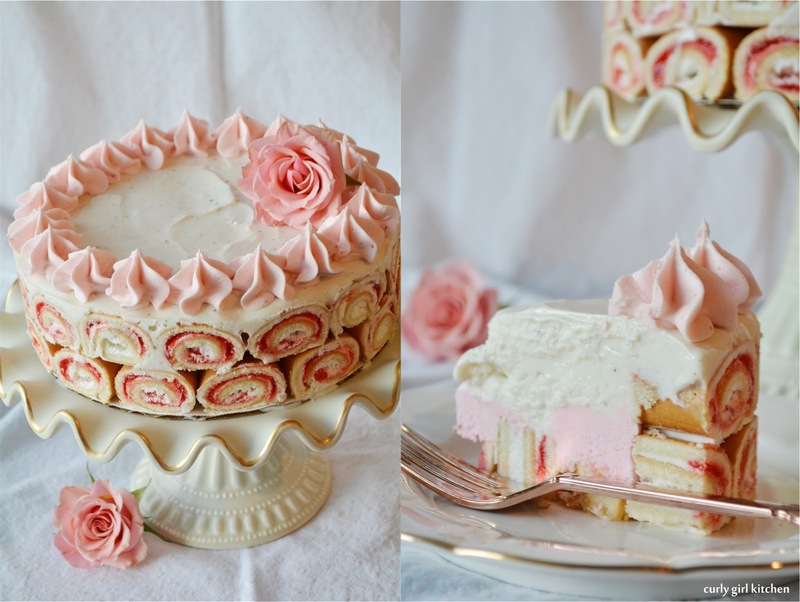 Plus, I just love how the swirled rolls look bordering this pretty cake. 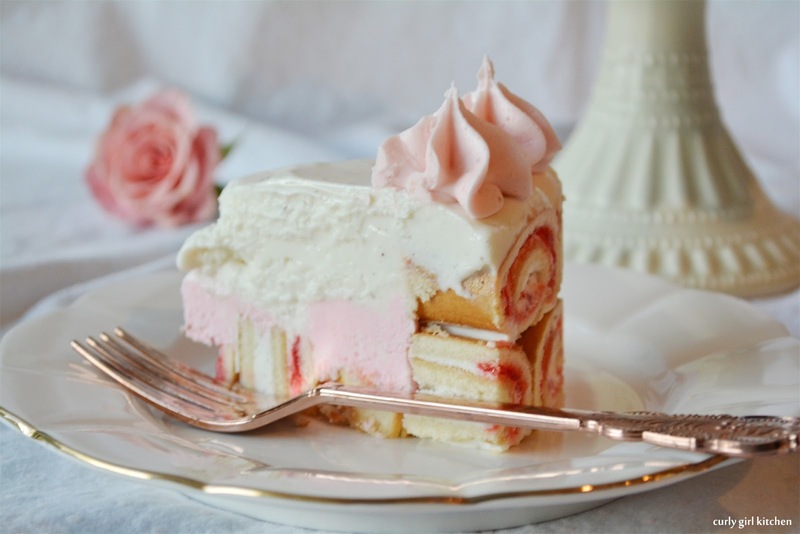 Note: Instead of the cream cheese layer, you could simply use strawberry ice cream. 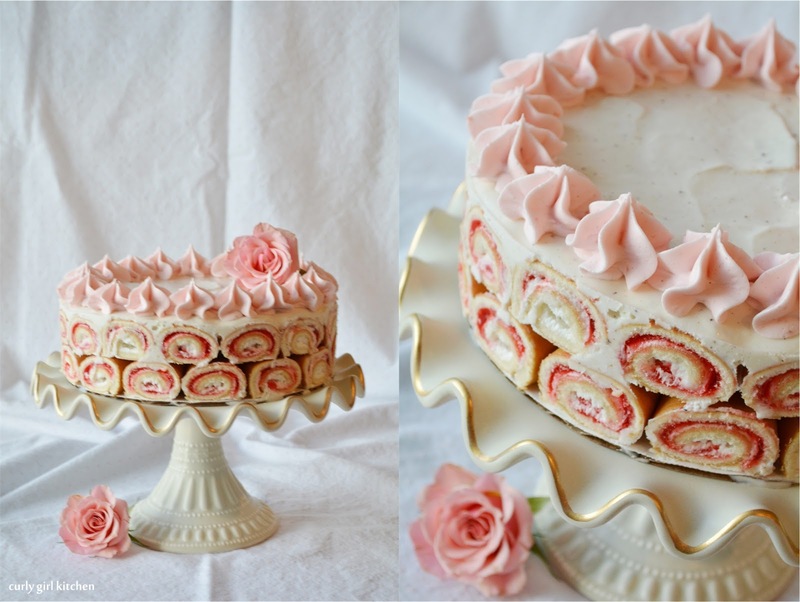 Cut the strawberry rolls into fourths, enough to stack two layers around the sides of an 8-inch spring form pan. Take a few more strawberry rolls and cut them a little thinner to fill in the bottom of the pan for the base of the cake. In a bowl, beat the cream cheese until smooth. In a separate bowl, whip the cream until soft peaks form. Beat the cream, cream cheese and jam together until smooth; if you like, add a little pink food coloring. Spread the cream cheese layer over the strawberry roll base. Spread the ice cream over the cream cheese layer, all the way to the top of the pan, and smooth out the top. Freeze for several hours, and pipe the buttercream on top. Freeze for 6-8 hours before serving. 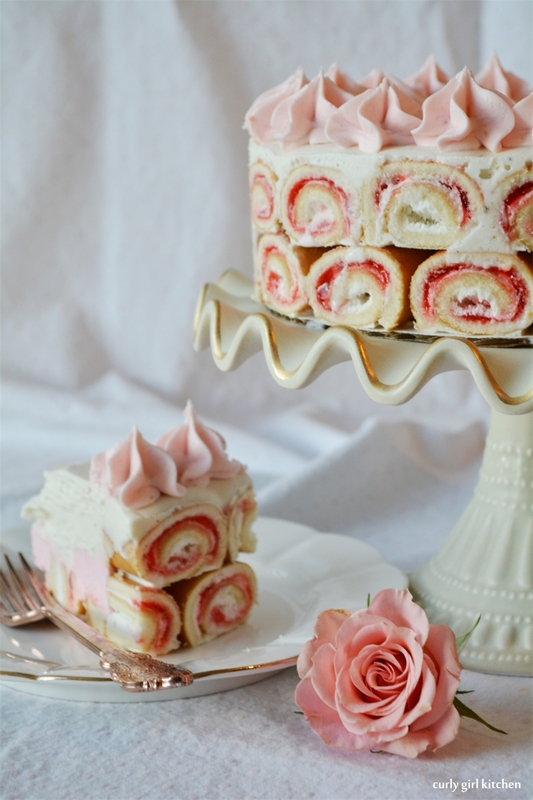 Only you could make store bought jelly roll's look this beautiful!!! 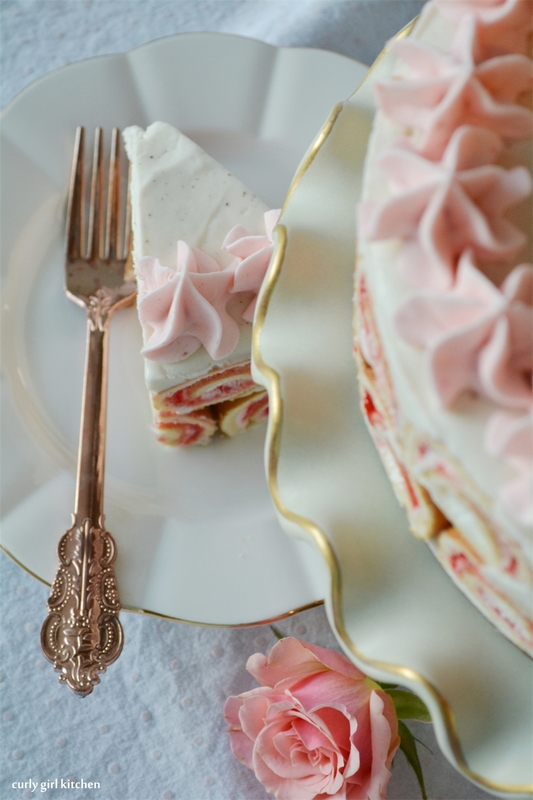 I can't believe you pulled together such a sophisticated cake using store bought ingredients!! Pure genius.